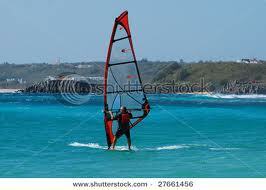 ALGARVE-WINDSURFING ON THE COAST OF LIGHT. ALGARVE-WINDSURFING ,portugal is truly blessed,not just by its climate but by having the Atlantic ocean as all its coastline.Not only is it spectacular but it gives ideal conditions for all watersports.Particularly of the saling variety.You get the winds but without the freezing hands experienced further north. LOOKING AT THE MAP.THE WEST IS ON THE LEFT AND YOU CAN SEE SPAIN ON THE EAST.RIGHT END OF THE MAP. You can find plenty of locations to learn and take part in windsurfing along the Algarve coast. There are endless spots an oportunities where you can practice ALGARVE-WINDSURFING .Of course it goes without saying you need to be very carefull and talk to people in the knowbefore practicing windsurfing in waters you are not familiar with. 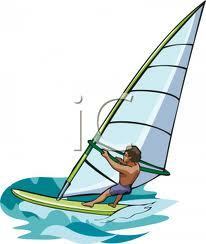 You should seek advice as to the correct spots before you ever set board or sail in the ocean. In the Algarve region one of the busiest spots for this sport is Portimao, as every year major windsurfing competitions are held there.Portimao is famous internationally amongst participants in the sport as many of the worlds best surfers have been going there for many years for what is known as "the Windsurf tryouts".The offshore conditions are said to be perfect for the seasoned pros'.Another major activity I believe is held yearly is the Portimão Trophy or Iberian Cup International Formula Windsurfing held at Praia da Rocha,(praia means beach)close to Portimão.